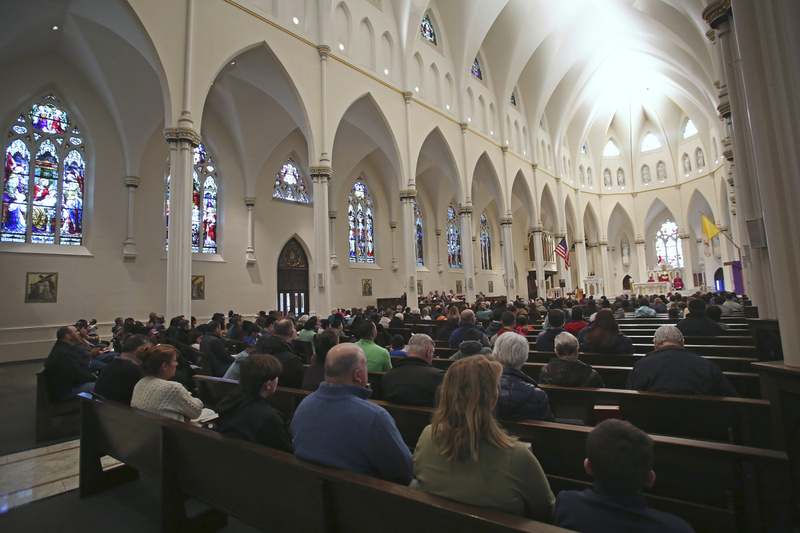 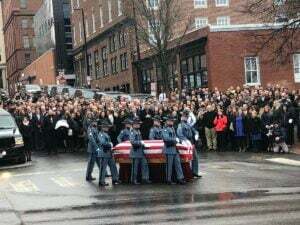 Parishioners gather for Mass at the Church of the Immaculate Conception Sunday, March 17, 2019. 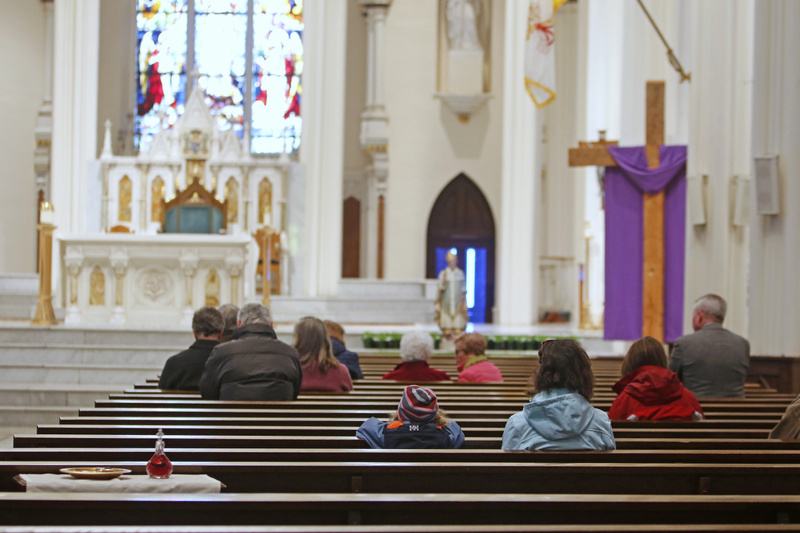 Parishioners prepare for Mass at the Church of the Immaculate Conception. 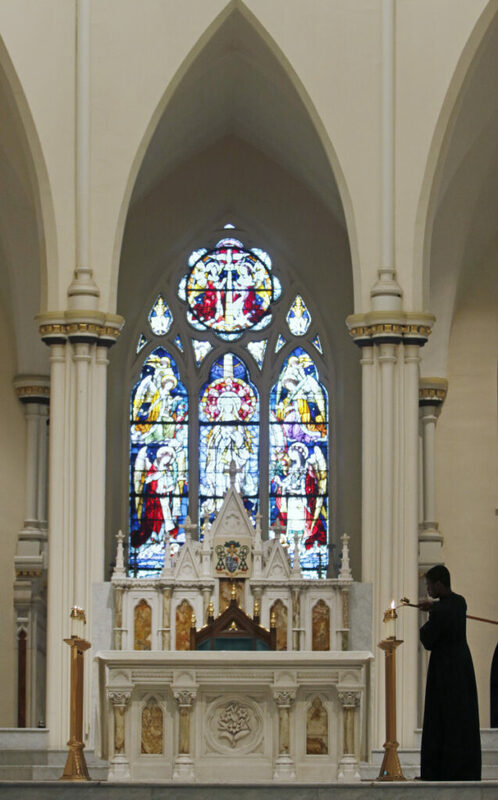 A candle is lit prior to Mass Sunday, March 17, 2019. 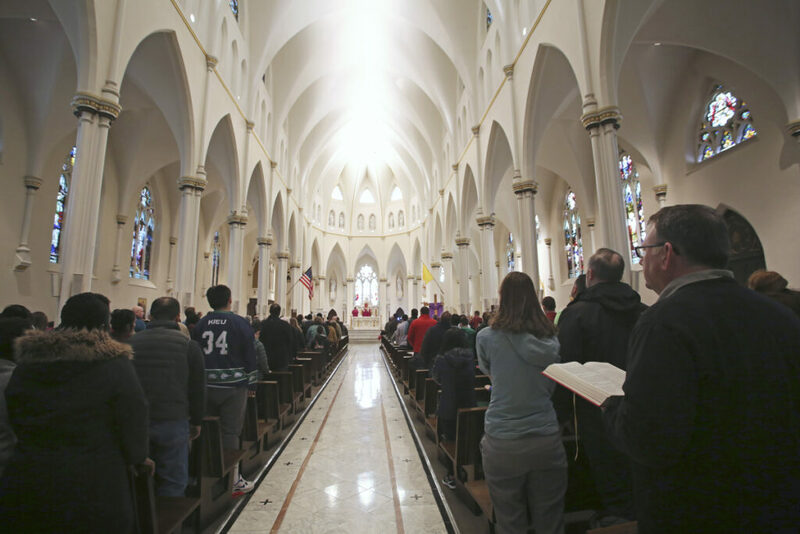 The Diocese of Portland kicks off a year-long celebration of the Church of the Immaculate Conception's 150th anniversary. 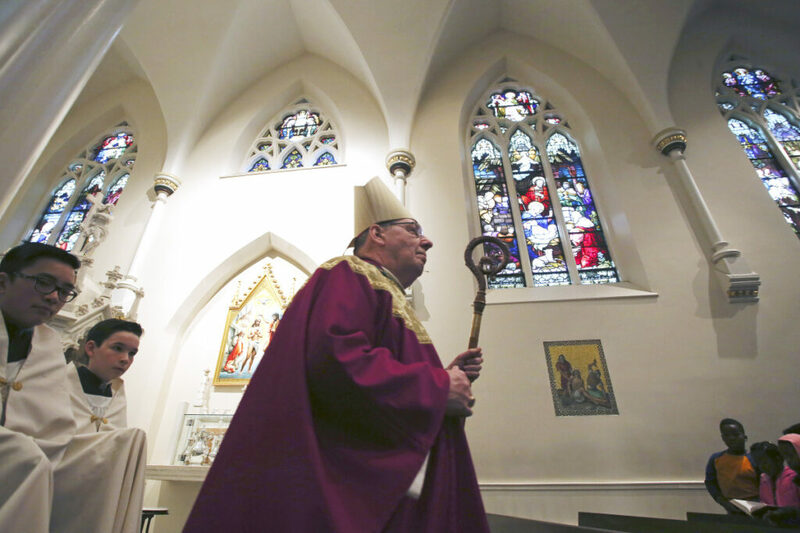 Bishop Robert Deeley enters the Church of the Immaculate Conception for Mass. 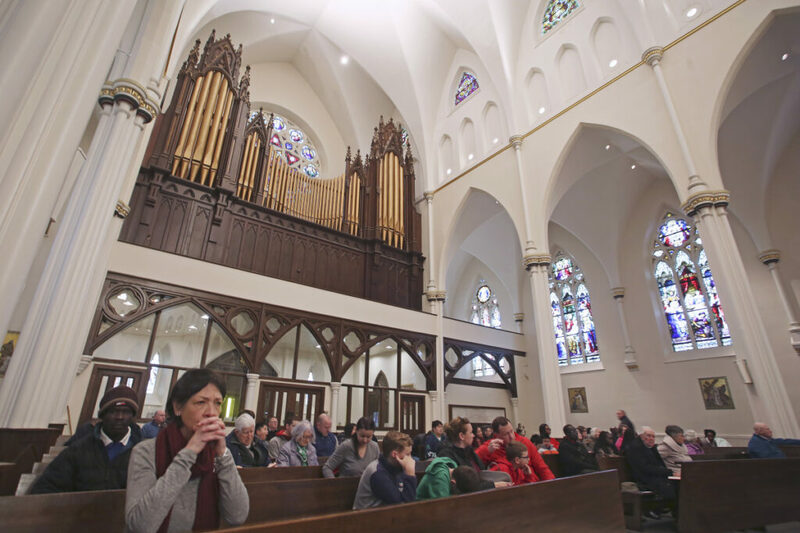 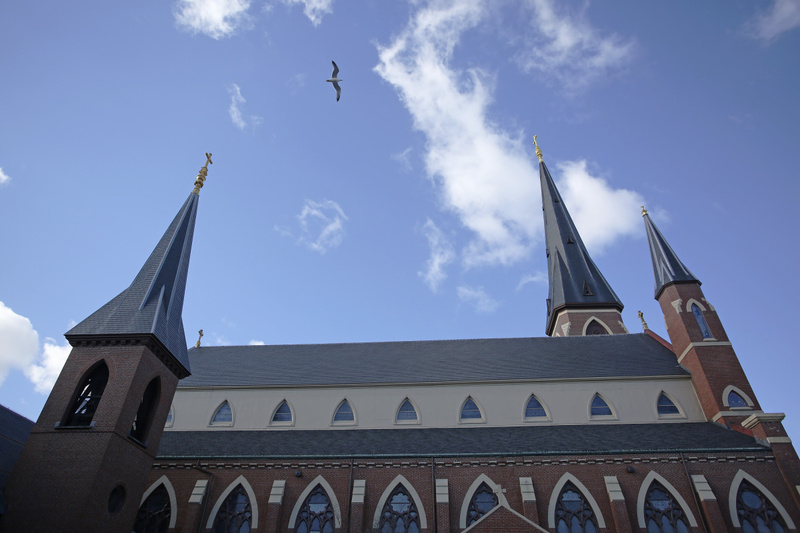 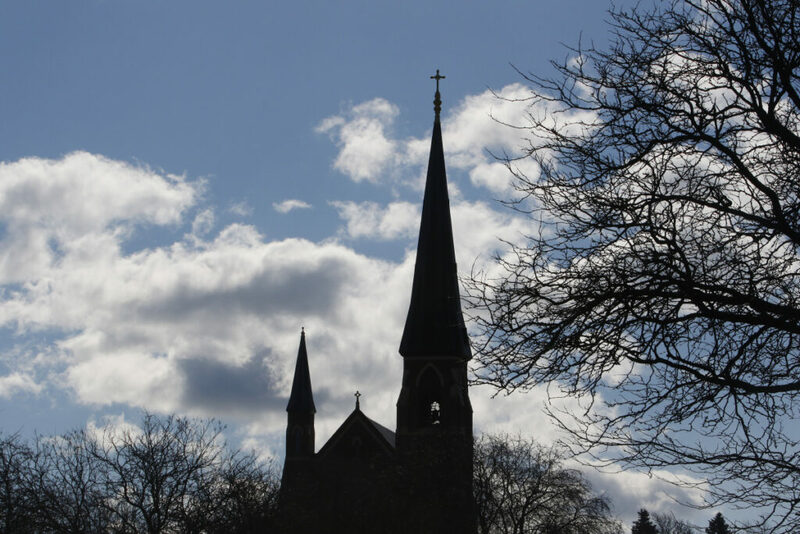 The Roman Catholic Diocese of Portland next Sunday will kick off a months-long celebration of the Church of the Immaculate Conception's 150th anniversary.